Hey Babe! Happy Holidays! Are you in the spirit yet? We've got the perfect "Ugly Sweater Design" with Dachshund Dogs to help you get with the program! Check out our custom designed Ugly Christmas Sweater Large Leather Tote Bag With Dachshunds! It may be "ugly" and in your face like a Christmas Sweater should be, but it's got high quality all over print front and back. 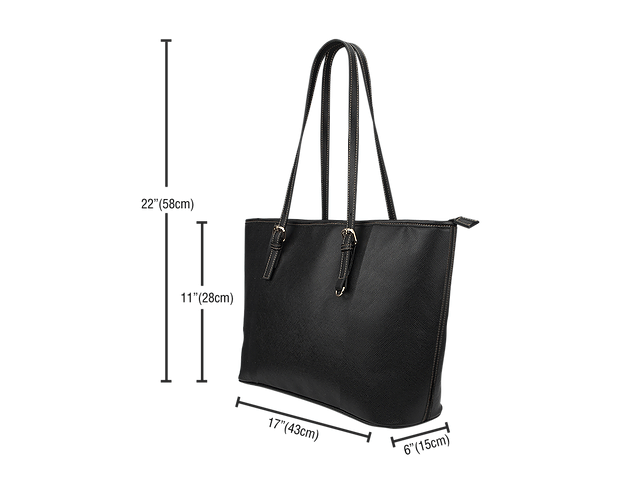 Our Large Leather Tote Bags are the best! Guaranteed.